Get the vintage look for your Baja with the ML-8 wheels! Available in 60mm and 75mm widths, these are the perfect scale fit for the Baja Tarmac Buster tires! With a super-tough beadlock design, you can drive in confidence knowing that the tires will stay put no matter what. 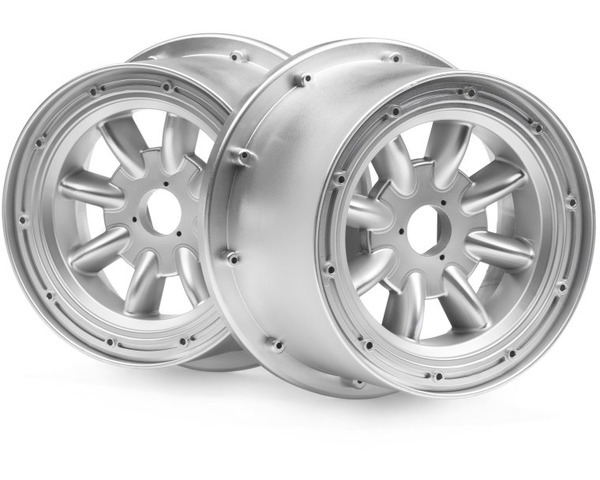 These are exact replacement wheels for the Baja 5R On-Road car.